Did you know that September Is National Sewing Month? The best part of sewing is sharing the craft. 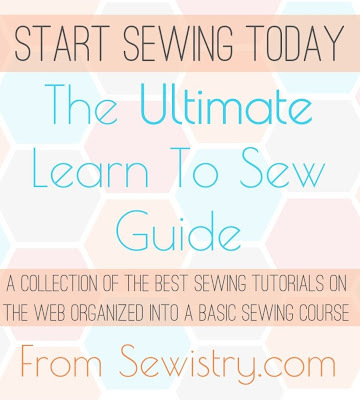 Last week, over at Sewistry, I shared a round up of sewing tutorials that I found helpful in learning to sew and teaching others to sew. This round up cover just the basics, but I hope to add to the Resources section at Sewistry as time goes on.